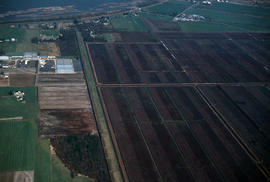 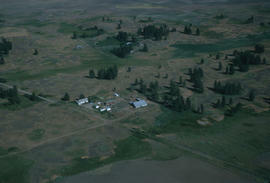 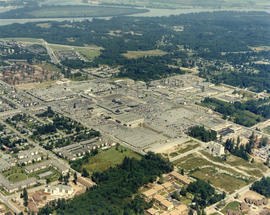 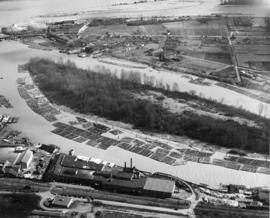 Image is of an aerial view of a farming operation, possibly a cranberry farm. 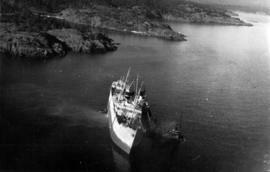 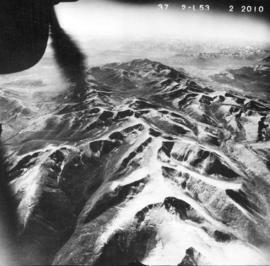 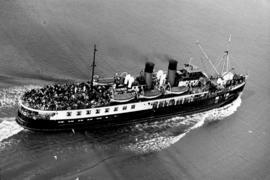 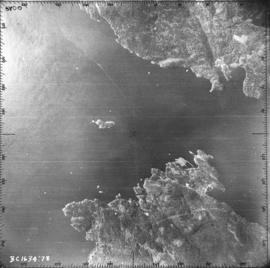 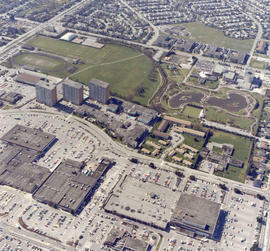 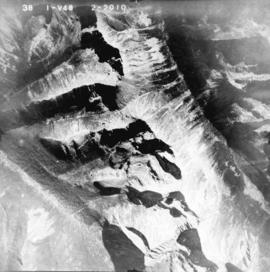 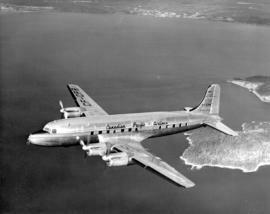 The Lion's from the air. 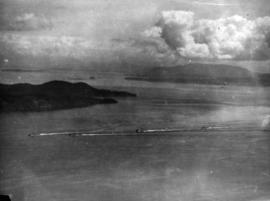 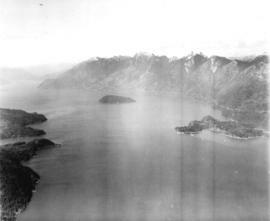 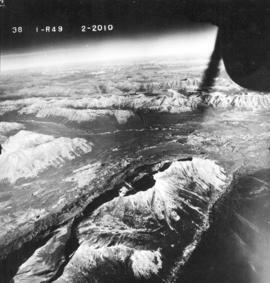 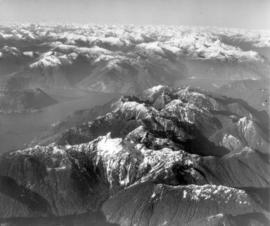 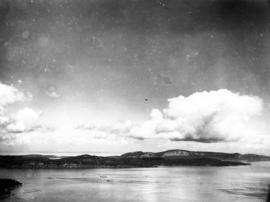 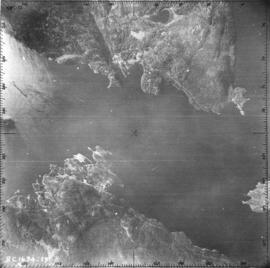 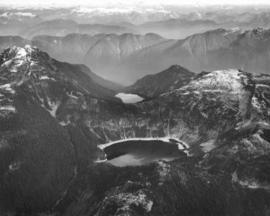 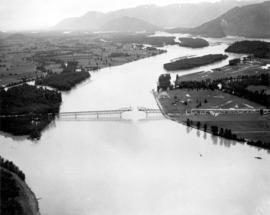 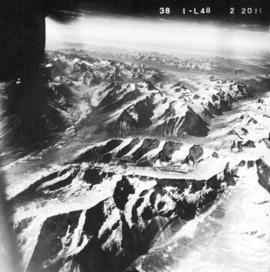 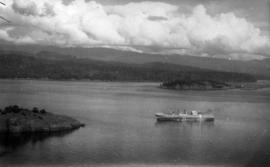 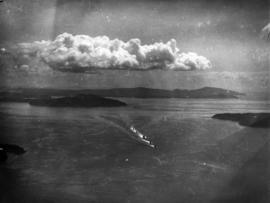 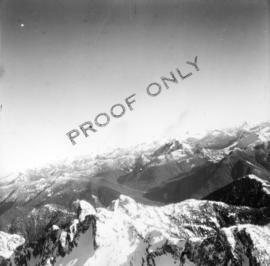 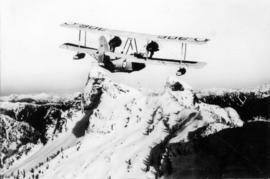 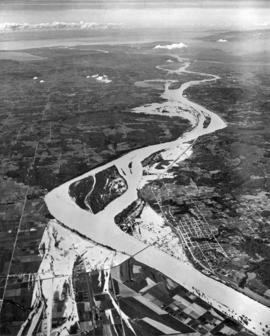 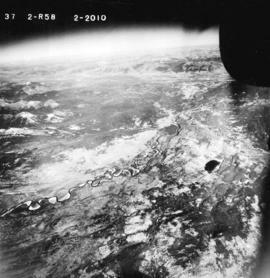 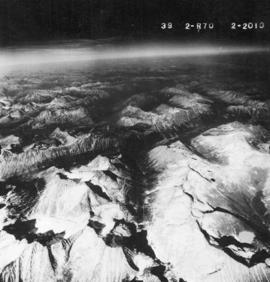 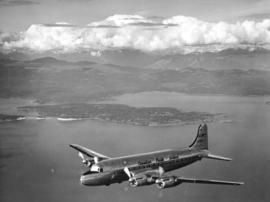 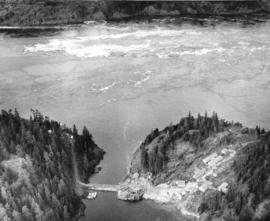 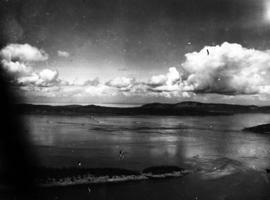 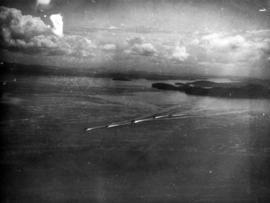 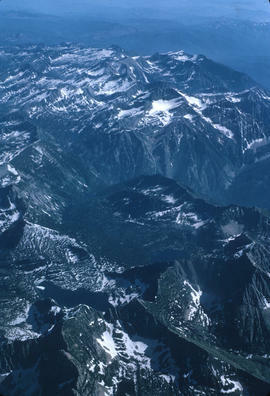 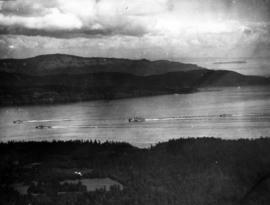 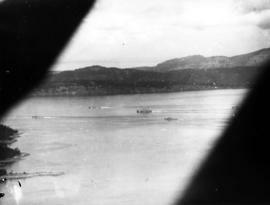 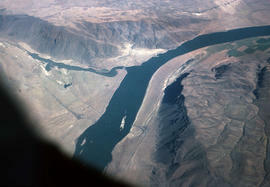 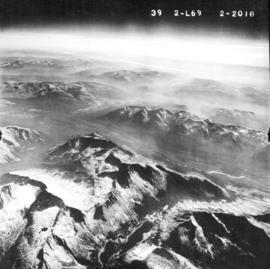 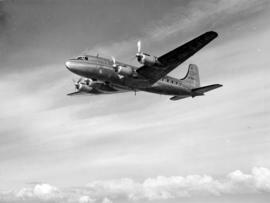 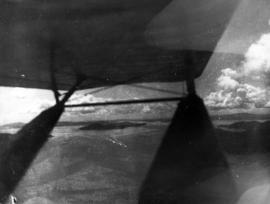 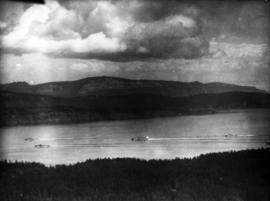 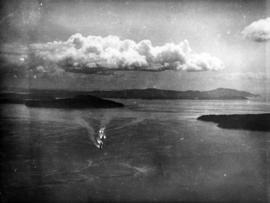 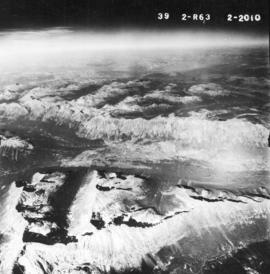 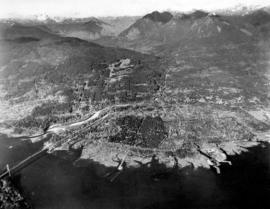 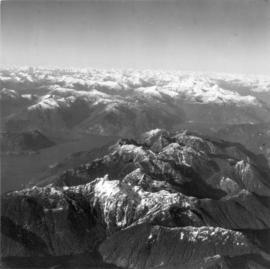 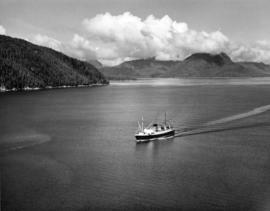 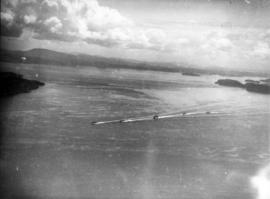 Photograph shows Anvil Island, Howe Sound, Horne (Furry) Creek and Capilano Valley. 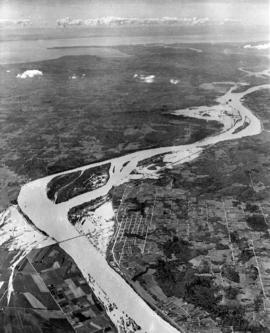 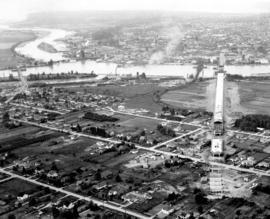 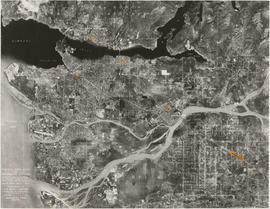 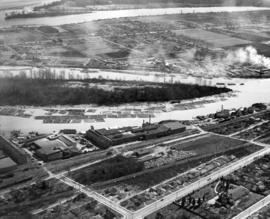 Oblique view shows the Marpole rail and highway bridges.